The Ohio bridal shop that a nurse visited mere days before she was diagnosed with Ebola is closing down. Now the owner blames her notorious customer for scaring away brides and other potential clients. 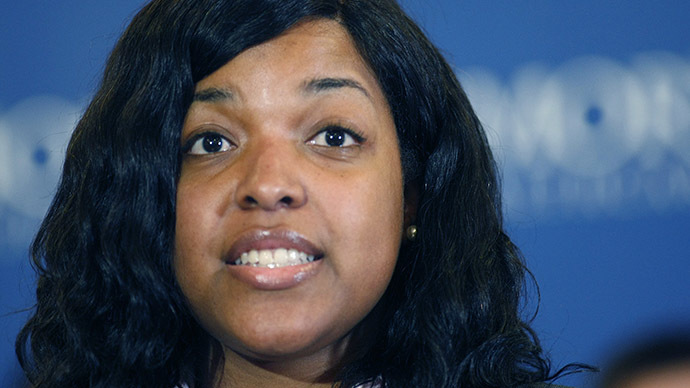 Amber Vinson was among those who cared for the United States’ first Ebola patient Thomas Eric Duncan at Texas Health Presbyterian Hospital. In mid-October, she flew to Akron, Ohio to prepare for her wedding, including trying on bridal gowns at Coming Attractions Bridal and Formal. Vinson came down with a fever just days later, on October 14, and was taken into isolation at the Dallas hospital where she works. She was the second of two nurses who contracted Ebola there. Anna Younker, the shop's owner, told WEWS she had to temporarily close the bridal shop for three weeks after Vinson visited to calm customers’ fears. She also paid a high-tech company out-of-pocket to use ultraviolet light to decontaminate the building. Despite those actions, some customers never returned, others canceled orders and the insurance company denied claims, the Cleveland Plain Dealer reported. “I am sad to announce that Coming Attractions Bridal & Formal is being forced to wind down its operations after thirty years of service due to the devastating effect that recent events have had on our business. Despite our best efforts, we simply have been unable to recover,” Younker wrote in a Facebook post. “The decision for me to close was not easy for me. Over the years I have met and worked with the most amazing brides, mothers of brides, bridesmaids, prom girls and many other wonderful people,” she added later. Vinson didn’t help matters. In November, the nurse who started the store’s downfall requested ‒ via her lawyer ‒ a refund for all of her bridesmaids dresses, totalling nearly $500, "due to the most unusual circumstances." The three-paragraph letter written by Dallas attorney Stephen Malouf acknowledged that "Amber's Ebola infection brought significant attention to Coming Attractions, not all of it positive," WEWS reported. "In order to minimize additional public scrutiny, Amber has decided that it would be best if she used another bridal shop for her bridesmaids' dresses, and kept it strictly confidential," Malouf wrote. Younker told the Cleveland ABC affiliate that she felt insulted by the letter. "The lady who was here and caused the problem here wants her money back... If anybody that would back me up or continue to do business with us, I would expect it to be her," Younker said at the time. "I don't know what she thinks about our business. Does she think she's hurt it enough? I don't know what's going through her head." The store began its liquidation sale on Thursday, with everything discounted 50 to 80 percent. However, a stranger is stepping in, hoping to help Younker save the shop. Terri Crispin, who never shopped at the store, set up a GoFundMe page for Coming Attractions. "I was at work and heard some people talking about the store closing," Crispin told the Plain Dealer. "It really upset me." "I wasn't one of the people who jumped on the Amber Vinson hate wagon but I did find out that she asked for a refund and all her bridesmaids went elsewhere," she added. "When I heard that I thought that was pretty classless." The City of Akron is also offering assistance, proposing some of its vacant property for relocation. "I never thought anyone would reach out to us like that," Younker told the Plain Dealer. "When you decide to close a business you don't really think about people giving you money to stay open." The store, which Younker owns with her husband, has been in business for 30 years.